One Heart, A Thousand Tears: Two Worlds Juxtaposed – A Splash of Love…. “Mom, can you give me a ride to work please?” My daughter asked. To be honest, I wasn’t in the mood. Had it not been raining, I would have told her a walk would be good for her. I was in the middle of a project and the interruption wasn’t welcome. None-the-less, I laid aside my work. It was the only reasonable thing to do. After dropping her off, I remembered several errands I needed to run. I would do those before heading home, and save myself another trip out. With that, I drove to the Home Hardware Store. Waiting at the stop sign in our small town of Elmira Ontario, I heard the clip-clop of horses hooves, a common sound in Mennonite country. I watched the horse and buggy, coming my way, with other traffic following patiently behind. Or, not so patiently. A monster of a truck, jacked up on those over-sized wheels, making an even bolder statement in an electric blue colour, followed tight on its heels. Clearly annoyed. The line-up of vehicles behind it looked non-menacing, compared to that one, lone, angry-looking machine. As the covered buggy rounded the corner, the Monster revved. Hard. The horse startled slightly. The buggy lurched forward. The Monster driver was clearly irate at having had to hold back his own horse power, thanks to a little Mennonite buggy, with live horse power. A young man, probably in his mid-twenties, stuck his head out of the buggy, straw hat pulled over his head, eyes gazing at the Monster. A world just beyond his reach. You could see it in his eyes. The longing to experience that kind of power. He stretched out further, his eyes following the Monster, until it slipped out of sight. The Monster’s roar, echoing long after it was out of sight, almost seemed to taunt the young man. Slowly the young man pulled his head back in, eyes filled with something akin to sadness. The world beyond his reach. I can’t say for certain that I interpreted the scene accurately, but it is what saw, in my mind’s eye. Maybe, in reality, the young man thought the Monster owner to be a fool, and his look was one of sadness for the ‘lost soul’ inside. I will never know. Regardless, the buggy with its bridled horse power, juxtaposed with the Monster and its unbridled horse power, was an image I wished to have captured permanently. It forced me to contemplate the stark contrast between these worlds, and the ways they collide, from time to time. I arrived at the grocery store, to grab a few items, declining a woman’s offer to have her cart—and the 25 cents she had invested in it. A small basket would do. Scurrying about the store, picking up a few necessary items for our vegetable skewers for dinner, I was keenly aware of other shoppers. It isn’t like me, really, to be so aware of detail. While I have a fairly graphic memory, detail like that isn’t my strength. Yet, even now, more than 24 hours later, I could describe many of the shoppers. Had the buggy and the Monster created the sensitivity? Possibly. I smiled politely. Greeted a few I recognized, and continued my speed shopping. No time for socializing. Dinner was in an hour and I looked forward to the steak and veggie skewers. The pasta was an afterthought. Could have done without it, but my husband and five children would have been ravenous shortly after dinner. Especially our three boys. The girls would have been fine. I rushed to the counter, relieved to find I was second in line at one of the check outs, and pleased that I had made it out without getting caught in conversation. That’s rare. Usually someone stops to chat. Tells me their story of pain and tragedy. That’s just how it is with me. I don’t know why. “I don’t know,” I said. It just happens. “I can’t explain it. We had not yet reached our floor when the woman looked at me, smiled, and said, “hi”. “Hi,” I said, smiling politely. We reached our floor, and exited the elevator. The woman followed. We walked to our doctor’s suite. Again she followed. After checking in with the nurse, we seated ourselves. She seated herself just around the corner from us. By the time we left, I knew her story. She was divorced. Had fought hell and high water to keep her son because her husband slandered her. Her cousin was married to my brother. And she had just moved weeks earlier, to our area, from a town two hours away. I have never seen the woman again. As I stood there at the checkout yesterday, preparing to pay, relieved to have escaped any such conversations, I turned, and looked to the line now forming behind me. Timing is everything some days. A minute later and I would have been at the back of that line. And that’s when I saw them…. 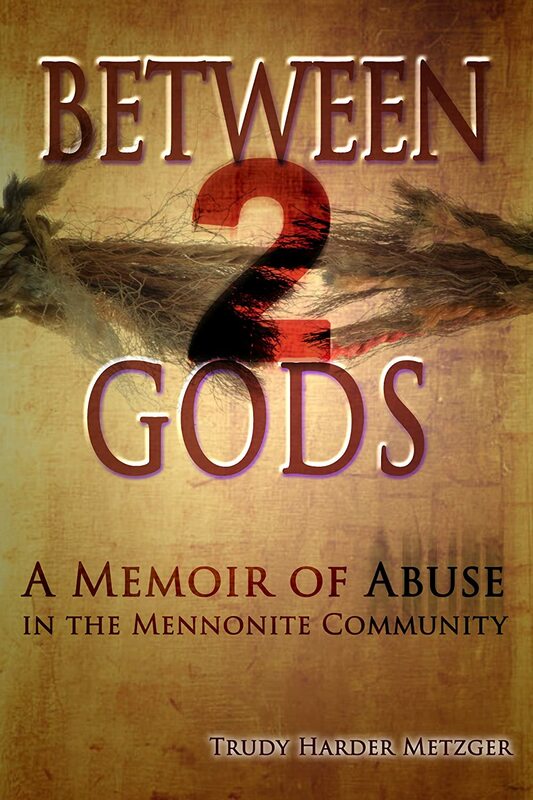 My story is one of overcoming extreme abuse and violence. Childhood made me hypersensitive to hurting people to such an extent that I can see a perfect stranger and often know what they’ve been through. Even what they’re thinking. Some find this creepy. I don’t. I had to know what people were thinking, as a child, in order to survive and stay a step ahead of the game. Now I use that survival skill in coaching and mentoring people. It helps me ask the right questions. It helps me see things that no one else might know about the people around me. And that is precisely what happened when I looked to the back of the line. A slightly heavy-set woman who appeared to be in her sixties, nearly ran her full cart into another shopper. An awkward apology, as the shopper glared at her. She looked almost frightened, as she squinted behind the inch-thick glasses that made her eyes look quarter of their actual size. She laughed nervously. Quietly. Obviously feeling a bit lost. Out of place. Her stained, crooked teeth—what were left of them—mocked her laugh. She wore traditional Old Colony Mennonite garb. A black kerchief wrapped around her head, little frills falling off the edges. I know the culture. It’s my background. I know how closed they are. How secluded. How alone. How different they feel when they mingle with ‘worldly folk’. That aloneness was visible. A younger woman, maybe in her forties, and thin, almost to an extreme, stumbled up to her. But for the weight difference, and the age, I would have sworn I was looking at a ghost of the same woman, from days gone by. Her younger years. No doubt this was her daughter. The daughter, dressed almost identical to her mother, wore no glasses, but was clearly visually impaired. She squinted, leaning in close, awkwardly placing her face very near the other woman. She spoke. I couldn’t hear the words. Though I wished I could have. (Not that I make a habit of eavesdropping… most of the time.) This was different. I know their mother-tongue, and could have understood their words, had they spoke louder. Probably just as well. Their body language screamed of victimization. I know the signs. I watched my mother, as a child, and heard her screams. The horrors of domestic violence. I slid my card in the card reader and entered my code. The cashier asked a question. I nodded, looking intently at the POS machine. Something in my chest hurt. I felt grief rise up. A sense of identification from childhood that I had never encountered this way before, in public, with strangers. A tear formed, threatening to spill. I choked it back down. No tears. Not now. I could feel my heart, tightening up. Squeezing more tears out of my chest and up into my eyes. I swallowed hard. Took the receipt. Turned with my small box of groceries and left the store. In my car the tears started. Falling for these strangers, they trickled down my face. One by one, at first, and then a stream. Such stark contrast between their world, and the world of the beautiful little girl, skipping through the grocery store beside her daddy. One short trip in a small town to take my daughter to work. Two worlds juxtaposed. One heart… A thousand tears. Wow!So well written and what I have lived and felt so keenly myself-sigh! !Nightmare of a childhood in a conservative Mennonite home. Long journey to healing(still on it) but glory to God there is redemption,restoration and restoring the years the locust have eaten. I too can read,sense,feel the pain and suffering in the faces(non-verbals) of those I see, even in stores and my heart bleed for the trapped and wounded! God created families to love,bless and protect their children but so many time it is the exact opposite in this sin cursed world. Sadly that happens way to often under the guise of religion. God bless you for your honest, straightforward writing to address these issues that too often get covered under the lie that if you forgive you forget.Which only make it easier for the persons caught in the sins to continue to live in their brokenness thus passing it on from one generation to the next generation. You are bang on with it “only makes it easier for the persons caught in sin to continue…” We have long misrepresented forgiveness and used it to cover sin, and that in itself is a sin. 1.) Forgiveness requires that we look at the crime/wrong/evil done to us, and acknowledges how desperately hurtful it was. 2.) Forgiveness does not pretend that this evil done against us will cease to exist in our minds or memories, though hopefully its impact will not remain crippling. 3.) Forgiveness does not release the other person from that wrong, or from the consequences of that wrong. 4.) Forgiveness releases me from the burden of trying to make the wrong right, or carry the burden of justice, while still allowing me to play a role in bringing justice about. 5.) Forgiveness breaks the power the perpetrator has over me emotionally, mentally, psychologically and/or spiritually. In short, forgiveness sets me free, and releases me to live a full and exciting life. I have forgiven all of my perpetrators, even those who refused to take ownership–those were harder to forgive–and have restored relationships with many, where appropriate. Oh Trudy, apart from the part about growing up Mennonite, I could have written this story. Our little town is surrounded by Amish, we have a Home Hardware, and I know you were shopping at Aldi’s. I, too, since childhood, have had the kind of face that seems to let people know they can talk to me, and my husband just shakes his head in wonder. I can hear weariness of intercession, as I understand it well. Your heart is broken by the things that break the heart of God, and you are physically and emotionally “spent” by it all. As I write this, I am lying in bed, having felt a wave of exhaustion overwhelm me at church. We need to care for ourselves, girl, if we are to care for others. I am speaking to myself as I lovingly wrap my arms around your shoulders. We live in the two worlds of Lightness and Dark as well. Good and Evil. We have a foot in both worlds because we are both victims and ones who love redemption. I have to remember often that Jesus took time away from healing the hundreds that followed him, climbed into a boat and went into the middle of the lake to be alone with his Father, and often went to the home of three dear friends who loved on him, and helped him rest. Thank you Morven. I’m one of those ‘wear it on the sleeve’ people, which means that when I write, you mostly get the raw goods. 🙂 It’s kind of funny because I usually only cry in my three safe places: at home with my love, at church with my spiritual family, and alone with God–usually praying for the broken and wounded. All that to say, I am probably less burned out than I sound. It’s in not holding in my emotions/feelings that I stay strong. (I’ve been doing this for years this way without burning out, so don’t worry about me.) Having said that, I agree that the time away alone is critical and I try to prioritize it. Thank you for your support. I’m looking forward to meeting you in the real world soon, God willing! Thank you Jewel! It would have been great to see you! Interesting timing… I’ve just started writing about some of the people who made a positive impact on my life ‘back in the day’ when I first came back to faith in Jesus. In thinking through those years last week, it brought back many memories of being in your home. Those were some of the best days of my life back then. I loved singing with your family and spending time with you all. Truly one of the safest homes I ever entered (along with Stephen Ebersoles) and where I met Jesus. Thank you for that. And I still think often of your mom, and her kind, nurturing heart. (And those eggs for breakfast… Mmmm… !) Then there was your gentle-hearted dad who reflected God so well, allowing me a glimpse of the Father-heart of God. Bless and thank your parents for me. Your family always has and always will have a special place in my heart and memories. I can truly relate to this. Growing up as a mennonite and now being out in the world. Trudy you truly have a beautiful heart and your expression of love and desire to share healing for the wounded is truly of God. Thank you for that, Colleen. I love choral music and remember well, singing with the youth in Pennsylvania. Ironically, I’m just putting the finishing touches on today’s blog, and it tells some of these stories. You caught me an especially tender moment with the song. Good tears. Good memories. Thank you. I still go back to these songs… they had depth and power then, and still do today.